After snorkeling, enjoy drinks from the galley bar -- first drink is free! 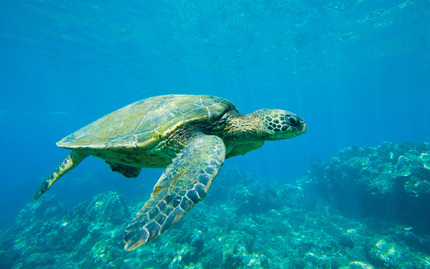 Snorkel off the beaten path, and explore the wild side of the world-famous Molokini crater, home to a great variety of marine life, especially sea turtles. Don't know how to snorkel or identify fish? Don't worry! There are free classes for both of those. 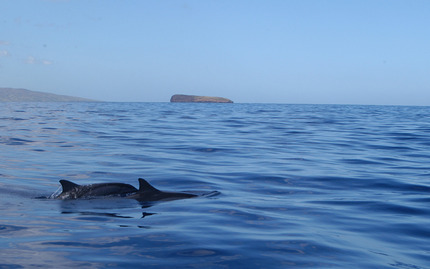 And once you're ready to go, you'll get to witness the incredibly diverse wildlife that Molokini crater is home to. 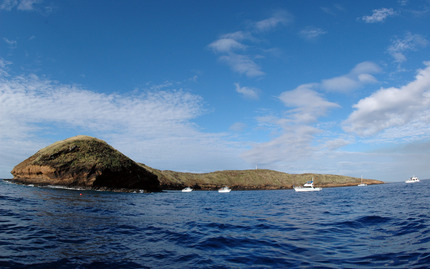 After you've snorkelled at one or more sites, you'll cruise around Molokini's rugged red rock back wall -- a special treat for birdwatchers wanting to spot seabirds like wedge-tailed shearwaters and great frigatebirds! When you're not in the water, enjoy a smooth ride aboard the Ocean Explorer, on which you'll enjoy a continental breakfast, a barbecue lunch, snacks, post-snorkeling drinks from the bar (first drink is free! ), and more. After it's all over, walk away with a complimentary marine life poster as a token of your truly remarkable trip! Note: You must be 8 years or older for this tour. This eco-adventure is not recommended for pregnant women or individuals with back problems. There are no refunds; all sales are final. However, you may reschedule if at least 48 hours notice is provided.